As part of launch week, WarCry.com is offering up a chance to win a super fast SSD. I think we all know that solid-state storage is faster and more reliable than old fashioned spinning disc drives. Problem is, it's expensive - so we haven't all had the chance to upgrade yet. No worries, WarCry has you covered with a giveaway for a brand new Intel 330 Series 120gb Solid-State Drive. It's a wonderful piece of hardware - set it up with whatever games you're currently playing for the extra speed, and keep everything else on a regular drive. Enter to win the Intel 330 Series 120gb Solid-State Drive now! Head on over to WarCry.com to get signed up for the giveaway. Don't need a solid-state drive? You might want to check out the extensive list of other free stuff that you can sign up to win. 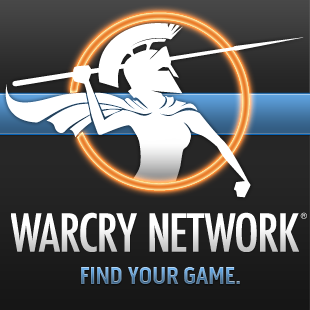 The new WarCry has been redesigned to help gamers find the right MMO for them, no matter the genre, no matter the play style, no matter if it's free or subscription. WarCry's codex has more than 300 MMOs listed and categorized, and WarCry will help you keep your eye on upcoming MMOs with news and previews. WarCry is going to be running promotions for hardware, beta keys, and free in-game currency all the time - so it's a great place to get started on a new game, or get a leg up in one you already play. We'll keep you updated all week on the best contests coming out of WarCry. For now, sign up to win the SSD here.